Download Edwin's full professional bio here. I was born and raised on a farm just outside of Guelph, in Puslinch, Ontario. When I was five years old my mom encouraged me to start playing violin. 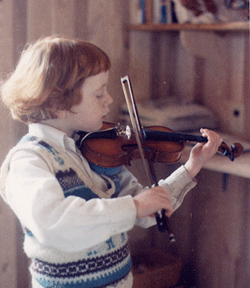 I started my training at the Guelph Suzuki String School with Linda Drennan. At the age of fourteen I began what I thought was a huge commute, to the big city of Toronto! There I began studying with one of my biggest mentors, the legendary Markus Furious, otherwise known as Mark Fewer. This was part of the Young Artist Performance Academy of the Royal Conservatory of Music in Toronto. This program lasted my whole high school career, and got me out of most of my classes on Fridays which, as some of you can imagine, was amazing. From 2006 - 2008 I attended the San Francisco Conservatory of Music, graduating with a Master's degree in violin performance. At the Conservatory I had the opportunity be concertmaster of both the baroque and main orchestras for several concerts, as well as become immersed in the conservatories very focused chamber music program. I had the incredible opportunity to work with Axel Strauss, Ian Swenson, John Adams, Michael Tilson Thomas, Corey Jamason, Elizabeth Bloomenstock, Andrew Mogrelia, and many more amazing musicians! One of the most serendipitous moments of my time in San Francisco actually came during my audition when I met my good friend and colleague Charith Premawardhana. As we were standing outside in the gorgeous California sunshine we began talking about how amazing chamber music is, and how we both desperately wanted to share it with the entire world… well, when I moved to San Francisco in the fall we dedicated every single Sunday evening to performing chamber music at a bar on the corner of 22nd andVvelencia called the Revolution Café. There lies the birth of Classical Revolution. At the moment, I call Toronto my home, although anyone that knows me well might nickname me a wandering minstrel. 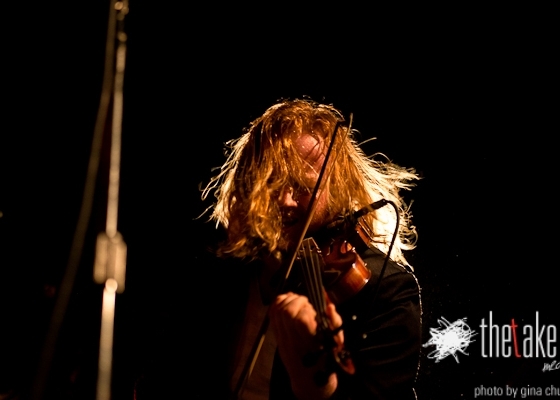 I have been traveling a lot the last few years performing with baroque, folk, rock, contemporary, classical, improvising, jazz, and celtic musicians from all over the world. In 2012 I went on a North American and European tour with the Wooden Sky where we played over a hundred shows in four months. It was unbelievable. I’m very excited about this website, and I hope to keep it up to date as I continue to travel around the world and spread the love of music. I hope that music inspires and stirs a little bit of love in all of you.